Squonk Become A Hot Focus! Aleader Box Killer 80W Mod! 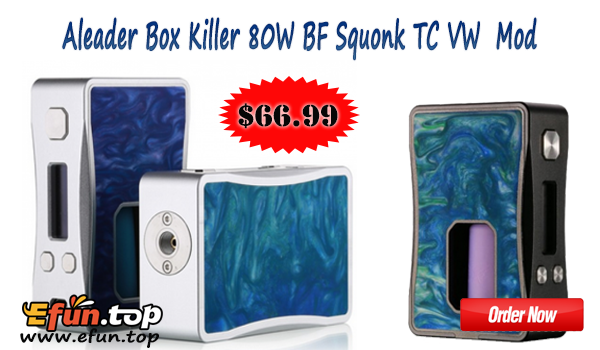 Aleader Box Killer is a squonk box mod with temperature control and wattage regulation function. Powered by 1 x 18650 battery (not included), the mod is capable of outputting for maximum 80W. The TC mode can adjust temperature at a range of 93~315'C / 200~600'F. It is sold $66.99 on efun.top.